I found Silly Grrl's current series on "6 Weeks To A Better Blog". She has some great advice, each post in the series is presented by a different blogger. I love hearing tips from the heart of established bloggers. I enjoyed Cassie's post on Keeping Your Style Consistent. I've been thinking about this a lot lately. I've noticed on most of the blogs I follow the text on their photos are consistently applied using the same fonts, borders and colors. My blog hasn't come together in that respect, yet. I need to find some textures, and fonts I like and stick with them. I want my blog to be all that I can be! It's always good to work towards improvement. I LOVE this dress from ModCloth. Not sure I want to spend that much on a dress at the moment, but I'm sure if I was willing to it would be worth every penny. Usually when I'm being tight with my money, buying clothing is the first expenditure that gets cut. Doesn't mean I don't enjoy virtually shopping, and expanding my digital closet, or ya know my Pinterest board. This cute sweater I spotted the blondie on Glee wearing. I didn't realize it was a knit until I saw it on Nordstrom's website. If it's possible, I like it a little more now! 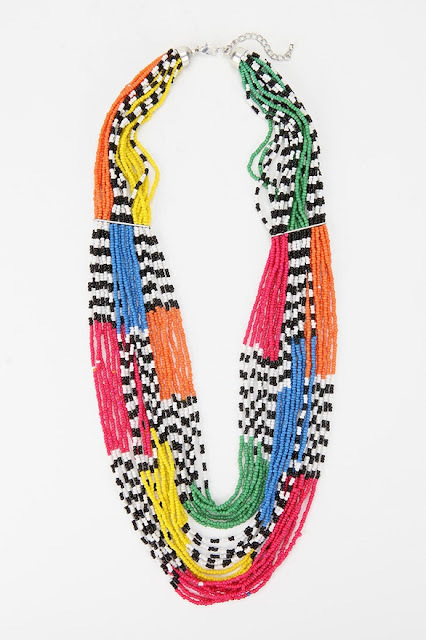 This necklace is extra fun from Urban Outfitters! Wonder if I could make this? I'll have to price the supplies, see if it would be worth it. I haven't used beads in forever, that would be a fun project. 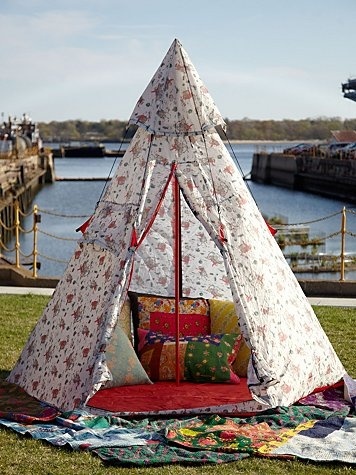 This tent looks like the perfect outdoor summer accessory from Free People. Aaron and I are so pale, this would be cute on the beach, instead of a beach umbrella. We always need cover from the sun. I've gotten some absolute terrible sunburns. In 2005 I was so sick with sun poisoning I had to stay home from work for five days! 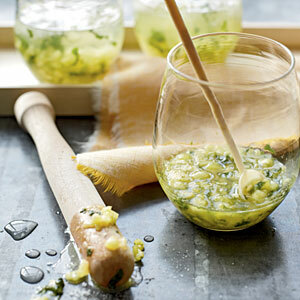 Our mint plant in going crazy, this Pineapple Mojito would be perfect for these hot spring days that keep happening. They were calling for rain thursday through sunday, but no sign of rain yet. It did cool off some, but it's still beautiful outside. Maybe I should go mix one up right now! Happy Friday, and Happy Earth Day! I bought two large bags of soil to finish moving all of our seedlings outside. Happy DIYing, chris!